When I was a kid, I had the benefit of going to a science camp. One of the fun projects I clearly remember from that camp was a red wiggler compost project. We took a 2 liter soda bottle and cut off the top to use as a lid. We put in some dirt with some red wiggler worms and added our apple cores and lettuce scraps. Over time, the worms turn the food into a nice and healthy compost. In camp they didn’t go over how good this compost is for the garden. For camp, it was more a fun project to prevent landfill garbage, have some pets that are easy to care for, and see how worms turn food into dirt. When I brought my project home, I quickly got bored of the worms and I found them a nice home in my back yard. Several years ago, I decided I wanted more. 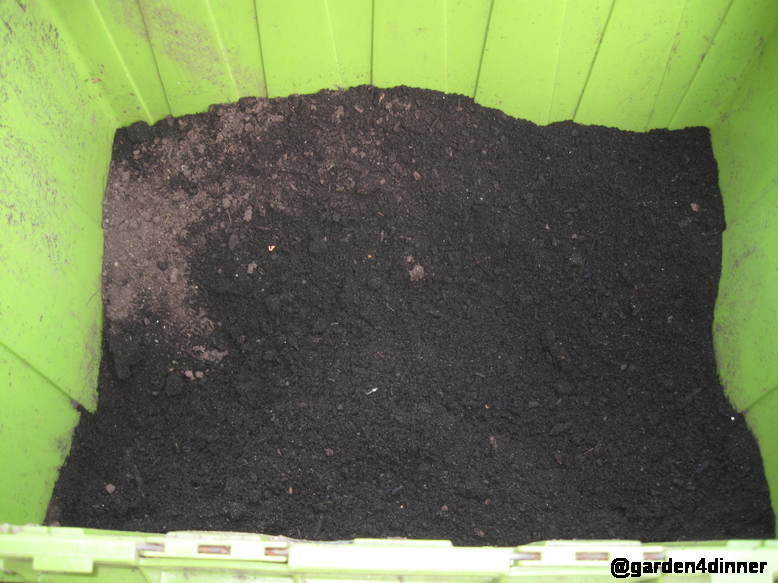 We had a very small garden and I thought – what an easy way to get some great vermicompost or worm castings. I had a very hard time finding red wigglers . I ended up going to Silverdale, Washington to a red wiggler farm (that was very difficult to track down). We purchase a small amount of them and brought them home. Now they can be purchased here. They need a dark container to live in. There are nice worm compost bin for purchase, but our container is very simply made from left over wood scraps we had. 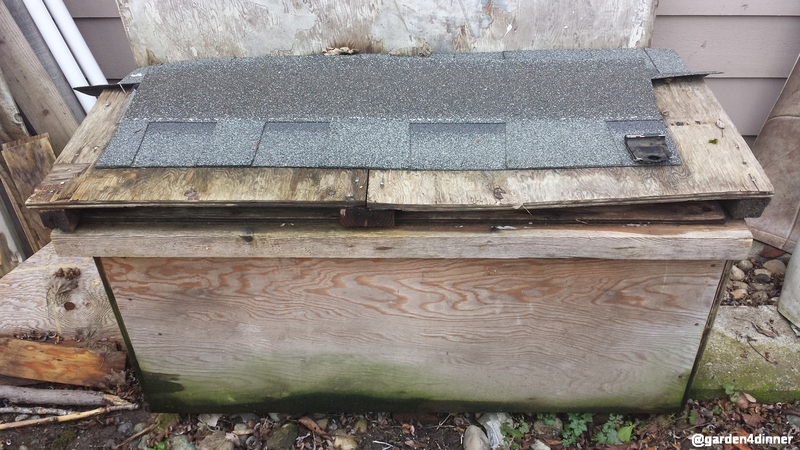 It is just a wooden box that is a little elevated from the ground with some cement. The cement isn’t necessary, it just happened to be at our house when we bought it. The worms have been even easier to take care of than I expected. We often neglect them by not adding food. They have also lived through very cold weather. I live in USDA Climate Zone 8, so the weather doesn’t get too cold here, but it has become a freezing and the worms live through it. We do place our bin close to the house on one side to keep it a little warmer. After they have a home, they need bedding. This can be shredded newspaper or leaves. We typically use leaves. We add more bedding when it gets low. We feed them our produce scraps. There are some foods they do not like such as citrus. They really like melon, apples, and lettuce. Only add more when it starts to get low. After feeding them for a while, it is easy to figure out the types of foods they prefer, because they eat those a lot faster. We also be sure to keep them dark. They like the darkness. Since it is winter, our worm bin is a lot less active and the worms don’t take up a lot of food, or eat as much food. 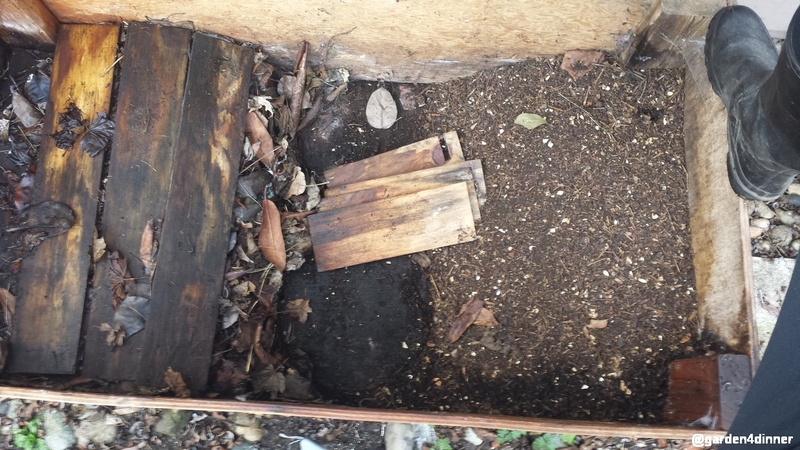 We also just removed a bunch of vermicompost so our bin looks pretty empty. We have a couple of pieces of wood over the leaves, but those aren’t necessary. When we need to separate their food from their castings it isn’t too difficult. We place the food on one side of the bin and when it starts getting full on that side, we start to place food on the other side. Eventually the worms finish eating and move on to the new food. Now on the finished side, we place a bright light, which also causes the worms to move away (like I mentioned before they don’t like light). We then dig up the new vermicompost and filter it with a 1/4 inch wire mesh like we do with all of our other compost. The vermicompost is excellent fertilizer. Worm tea is the liquid fertilizer from the drippings that come from the castings. Sometimes we put a pan under any places where the box leaks and prop the box up on one end to encourage draining on the other end. That is all there is to some excellent liquid fertilizer. Do you use red wigglers for compost? If not, is there something that prevents you from getting some worms of your own?